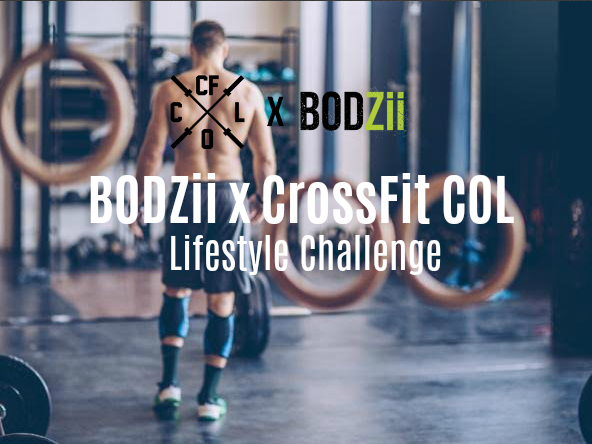 This Lifestyle Challenge is brought to you by BODZii. Our main goal is simple - to introduce you to an individualized nutrition program that will support and promote active and healthy lifestyles. We truly believe that nutrition plays a critical role in your fitness, and proper nutrition can help amplify your training and overall lifestyle. Whether you’re starting out on your fitness and healthy lifestyle journey or you’re a seasoned vet, this challenge will provide something for everyone. We pride ourselves on teaching the basics really, really well. As athletes, new or experienced, you know how important it is to lay a good foundation for a lifetime of success. What results can you expect to see after four weeks? Dietitian, Emilie and BODZii Head Coach, Robyn will be hosting a seminar to kick-off the Lifestyle Challenge! We will be covering all things nutrition and lifestyle including the basics (am I eating the right things? ), expectations, tips & tricks to tracking food and ultimately how to find the most success during the challenge. Attendance is STRONGLY recommended. The Seminar will take place at CrossFit COL Saturday October 13th, @ 9:00AM. Runs for 1 week before the challenge start date. We have included a prep week to ensure each member starts this challenge off on the right foot. 7 days to clear out your kitchen, go grocery shopping, and making sure you know how to set yourself up for the most success come kick-off day. The official start date of the challenge! The 4-weeks begins here – good luck! Complete quick and easy daily check-ins through the myBODZii App every morning. Visit the leaderboard to check out your competition throughout the four weeks. Included in the challenge will be an InBody Scan. This system is a body composition analysis machine that will give you all the information about what you’re made of. This 30 second test will provide you information on your Muscle – Fat ratio including lean body mass, body fat mass, visceral fat areas etc. It will also give you your basal metabolic rate and obesity analysis along with much more information. This scan will be done once at the beginning of the challenge and once at the end of the challenge for you to see your progress laid out for you! If you’re wondering what the Lifestyle Challenge can do for you, take a look at the before and after photos that are posted on our testimonial page at www.bodzii.com. The results speak for themselves! This challenge is a commitment to yourself. You will learn not only how to dial in your nutrition, but you will have a network of others doing the exact same thing, motivating you every step of the way. We are so excited to get into this year’s lifestyle challenge, and hope you are too!! Before signing up, it’s important to know what the initial questionnaire questions are asking in order to get you to your optimal macronutrient profile. When selecting your activity level, think about your level of intensity. Are you working out at a HIGH intensity level for those number of days you’ve suggested? If you’re at the gym 5 times a week but two of those days are lower intensity, select 3-4x / week. re-composition (little less fat, little more muscle). Gain if you have a hard time gaining muscle and are ok with your current leanness, and Loss if you’re ready to be in a caloric deficit and want to lean out. about your challenge like your seminar date!